This morning I went to my Dad's and got a load of horse manure then spread it on top of my 12x4 garden box. It is not really composted yet, but we are still quite a way off from planting season. This weekend I'll staple black trash bags across the top of the box. This will speed the composting of the manure and warm the soil until it is time to plant, probably around the 1st of April or so. Sunday will be my day to make my seed decisions from my catalogs. For Christmas, I gave my older brother my home defense shotgun. It is a Remington 870 that he found in a trashcan about 20 years ago and gave to me. It had a cracked stock, a 28" barrel and was missing the end cap that held in the mag spring and attached the barrel to the gun. Back then, I put this Choate Machine and Tool stock on it with a matching fore end, an 18.5" barrel made by Mossberg for the 870 similar to this one but without the "stand off" feature, and a fiber optic shotgun sight from HiViz. That gun served me well throughout my police career. At Thanksgiving he had asked my advice on buying a shotgun for home defense, something he had never been interested in before. I thought it fitting that he get it back. He really appreciated it, and it was good to be able to do something nice for him after all that he has done for me over the years. The problem is that it left me without a home defense shotgun. Today I'm going to pick up a new Remington 870 Express Tactical that I ordered. I'll get a review of it up soon. There are tons of blogs out there about guns, so I generally have stayed away from discussing them here, but I thought it might be cool to reminisce now and then about guns I've owned and traded or sold, that I wish I still had. Anyone who has done some "horse trading" in the past probably has a similar list. The first gun I ever bought with my own money, I was about 13 or so, and I got a Winchester Model 94 in .30-30 at a gun show. I don't remember what it cost, but I'd guess it was in the $100 neighborhood. That old .30-30 accompanied me on hikes through some family land in Ohio, took down many a pine cone and beer can, and basically got my love of the old West and guns in general started. When I was about 19 or 20, and flat broke, I pawned it for $40. I meant to go back and get it out of hock, but could never come up with the money soon enough. A lot of guns over the years got sold when I was broke, but thankfully never at such a loss! What guns are in your history that you've loved and lost? Leave a comment to share your story. First, I truly want to thank each of you that takes the time to read this blog! I am really enjoying doing it, and I hope you are enjoying reading it. I look forward to building this community. I hope you all had a great Christmas. I got lots of cool gear and books related to prepping, and will be reviewing them all over the next few weeks. I also gave a few pieces of gear and will review those as well. I sent my cousin in Northern Idaho a copy of Patriots -Surviving the Coming Collapse for Christmas. We spoke last night and he is really liking it. He works with a guy who is from Troy, so he's getting a kick out of the local flavor, too. My cousin is a car guy, and that leads to a piece of criticism for the book. He questions the wisdom of the group buying the old Broncos and Mustangs. He says that there is not a lot of parts commonality among the Ford engines and he would suggest Chevy small blocks. They all have quite a bit of parts in common, no matter the displacement. Not being a car guy myself, I'll take his word on it. He's never lead me wrong with auto information in the past. At the risk of opening up a huge can of worms, what do you think? Ford, GM, Dodge, or some snappy little foreign jobby? The seed catalogs are in, and I'm getting my order together. Last year was my first ever vegetable garden, and I had good luck with lettuces and cukes, not so much with tomatoes, radishes and carrots, no luck at all with peppers. I learned some things about Square Foot Gardening , and will try another garden about the same size this year. I'm going Friday to pick up a load of horse manure to spread in the box, then staple black trash bags over top of it to warm the soil and finish the composting. Mid-January will be time to start my seeds inside. It will be here before we know it. I am going to add a pumpkin patch to a bordered section of the front yard this year. We'll see how that goes too. I really want to build If It Hits The Fan in 2011. I got Crush It, by Gary Vaynerchuk for Christmas and have read it once already. It is a fantastic book for anyone who has the least bit of entrepreneurial spirit in them. If you want to build your personal brand, I highly recommend it. I'm not lending mine out; it will be a turn-to reference for quite a while. Using the ideas and methods that Gary discusses, expect to see me and If It Hits The Fan popping up in forums, blogs and Facebook pages whenever I have something relevent to contribute to the topic. I'm also working on a small product to sell, and maybe some t-shirts with the triangle and shield logo. I'm hoping to expand my affiliate programs and offer advertising as well in the coming months. Rest assured, any affiliates or advertisers will be based on my personal support of those companies or products, and not just anyone with a few bucks to pay. I'm also developing a family-oriented preparedness 101 training program to offer to churches, civic groups, and the public starting this spring. I'll also expand my training offerings of the FEMA Incident Command courses to private schools. Perhaps the most exciting thing, I'm unable to give any details of yet. 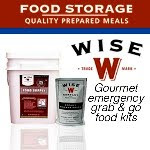 I can tell you that a preparedness equipment company has approached me about designing a particular product for them. I think the angle we are taking is pretty unique in the industry and will serve an unfilled need. I'm hoping we can have things finalized soon and can let you know about it. Finally, my wonderful wife has given me registration to one of Dave Canterbury's Basic Pathfinder classes later this year. Although I spent nearly four months without being inside of a building once, and I've been camping a number of times, my wilderness survival skills are not where they ought to be. I'll bring back a full report for you! Thanks for welcoming me into your computer for these past months. Please spread the word to your friends about us, become a fan on Facebook, buy Amazon items through my affiliate store link, patronize Survival Gear Bags and my future sponsors and affiliates, and if you buy something I talk about here, tell them you heard about them at If It Hits The Fan. Stay engaged, and Keep On Prepping! I won this in a random drawing that Emergency Essentials had on their blog site last week. The delivery was amazingly quick. When I got it this past Monday, I looked it over. It has four tools, a 9 LED amber light flashing beacon, a single white LED flashlight, a seat belt cutter, and a car window hammer. It also has a magnet base to attach it to your car while the beacon is going. I put in two AAs and began my evaluation. I ran the flashlight for about an hour. I went in the backyard and the shed after dark. It was adequate. better than some lights, not as good as others, but adequate. I then started the amber beacon flashing. I carried it outside and considered leaving stuck to my truck's bed, but figured it might draw unwanted attention. I ended up sticking it inside my bed tool box, and leaving it there all night in sub-freezing temperatures. When I came out to go to work the next morning, it was still going strong, and had been for about 10 hours. I was concerned about the magnet strength. It held OK to the side of my truck bed, but I've been on the side of the interstate getting buffeted by 18 wheelers going by. Would it hold under those conditions? It was still dark as I headed to work with it stuck to my front fender (I did not have the beacon going). I planned to see if it held until I got to the interstate, about 10 minutes away. About a mile from the house, going 40-50 mph on a bumpy country road, it fell off. I drove the short stretch a couple times, but it was dark and the light was obviously in the ditch. This was Tuesday morning. Tuesday night, it was already dark by the time I got home, and again I could not see it as I drove that stretch of road. Wednesday, I got off work at noon, so when I got near place it fell off, I parked and got out and walked. There it was, in the ditch, a little scuffed, but fully intact and everything working fine! This thing is durable! I have not checked the seat belt cutter or window breaker, but in looking at them, they look like they will easily work as designed. So, would I recommend the Auto Buddy? I sure would. It is currently $11.95, but if you buy 10 or more, they are only $8. A little late for stocking stuffers, but these would be great for new drivers, co-workers, and other family members. Mine will ride in the door pocket of my truck, and I'll be getting one for my wife soon. I mentioned this on Facebook. From what I gather, there is pretty good intel to suggest this is a viable threat, and before it got reported to the public, "they" had already briefed corporate security types from restaurants and hotels. Is it reason to completely avoid salad bars and buffets? I don't think so. I'd say just pay attention to others who are using them. Maybe take 15 minutes to drink your tea before eating and use that time to observe. Frankly, I'm surprised more people don't get sick from buffets just from communicable diseases and poor hygiene. The sneeze shield and "please use a clean plate for each trip" are not really that encouraging. Any time you eat something that a stranger prepared and served, you put yourself at risk. Barring further information developing, I think we'll still have our year-end feast at Texas de Brazil. The weather reports as recently as last night showed us getting 12-18 inches of snow here in Central Virginia. As of today, it is questionable. If the front moves in slow, we could be closer to that 18 inches, if it moves in fast, we could be in the 6 inch range. I got the new carb put on the generator, along with plenty of treated gas, so we are ready should we lose power. I have alternative heat sources, and we have winter kits in the cars (but if it is that bad, we won't go out). Historically, folks around here wipe the shelves at the grocery store if there is a hint of the slightest snow in the forecast. I can't imagine what the stores are like today. Thankfully, I don't care! We've got plenty of supplies to see us through. Music review? In a blog about preparedness? OK, it's a little off the norm for me. An old friend, Ryan Hood (we used to be cops together back in the day) has just released his first album, Coming Home. Ryan left Virginia several years ago to move back to the small town of Athol, Mass., where he was raised. I've always known Ryan to be a talented musician, but he also is a great song writer. The songs on Coming Home are inspired by his love of the outdoors, small town living, and the rural lifestyle... the same things that many of us love and strive for. I got my copy of Coming Home yesterday and am very impressed. I'm going to ask a favor of you all. Please visit RyanWHood.com and listen to some samples of his music. If it speaks to you like it does to me, please consider buying a copy of his CD. It is professionally produced, recorded and packaged, and I think it is well worth the $15. I hope that each of you has a very merry Christmas and a bountiful New Year. Celebrate as you and your family wish, and stay safe. Leave a comment telling us about any good prepping gear you get or give this year. I'll be back after Christmas to share my list, and what I will accomplish with my preps for next year. Last Monday, an airport shuttle van driver at Dulles International, outside of D.C., drove his van at 90-95 m.p.h. and purposefully struck several passenger cars and a cab. When arrested at the airport, the driver, Muhammad Teshale, freely admitted to it. It is thought that he may have undertaken a vehicular jihad in response to an article in Inspire Magazine entitled: "The Ultimate Mowing Machine." Inspire is an online, English language magazine that is produced by al-Qaida of the Arabian Peninsula. It features articles written by such American terrorists as Anwar al-Awlaki and Adam Gadahn. In "The Ultimate Mowing Machine," the author encourages readers to get a large pick-up and weld steel blades to the bumper, then plow through pedestrians. In 2006, an Iranian student at the University of North Carolina drove his SUV into a crowd of students leaving a class. Recent news reports revealed that terrorists captured overseas have claimed that strikes are planned for the U.S. and Europe over Christmas. Could last Monday's rampage have been planned as an opening salvo? Even if he acted alone in response to the magazine article, imagine the disruption to our daily lives if across the country just a few "lone wolves" drove their cars into crowds of shoppers, kids waiting for a school bus, small town Christmas parades, college football fans outside of a bowl game, or any other "all American" location. Imagine if these small scale attacks continued every few days, in towns large and small. Perhaps adding in the occasional suicide bomber on a city bus or in the grocery store checkout. It happens in Israel, why do we think it can't happen here? Primarily, be alert and aware of your surroundings. Carry a weapon if it is legal and you are skilled in its use. Report suspicious people, behaviors and vehicles to your local law enforcement agency (better yet, cut out the middle man and go straight to your state's Fusion Center with the information). Sorry to head into a wonderful and blessed time of the year with such a gloom and doom posting, but I think it is important for us to be aware of. One would think that the information on Teshale and Inspire magazine would have been widespread, but I only found out from a regional threat assessment update that I get. The saga continues. As we were expecting several inches of snow with some possible ice at the end, I was fearful of losing our electricity on Thursday. Wednesday, I bit the bullet and ordered a complete replacement carburetor from a supplier in North Carolina with the estimate from UPS that I'd receive it by Thursday afternoon. Well, here it is Sunday, I haven't got the carb. I haven't got the jet screw that might fit. My generator is still down, but at least we haven't lost power. Maybe Santa is planning to bring them to me. At any rate, I'm hopeful that I'll get both tomorrow, the jet will fit, and I'll have a working generator with a complete spare carburetor on standby. I've added some more books and some gear to my Amazon list (upper left corner of the blog) if you need any last minute gift suggestions for the preppers in your life. Everything I list is something I either own, have owned, or have some first hand positive experience with. I picked this up last weekend at Wal-Mart while waiting for my "instacheck" (2.25 daggone hours) to buy the Rossi Youth Model. I've always been a fan of post-Apocalyptic fiction. Going by the title of this one, and the mushroom cloud on the cover, I was expecting a good one. The book opens in the first person. An old man is talking to his grandson about the war. Seems the powers that be are now radical Christians and the Constitution is no longer in effect. The book then goes back to the war, I think about 2025. Radical Islamists have declared war on the West and conducted nuclear attacks throughout Europe, then Los Angeles and Las Vegas. The nukes on US soil have brought about the rise of an evangelist who ends up being Vice President, and commander of a new force of Christian soldiers who get all the best weapons and equipment. The war is in the Holy Land, and traditional US forces are fighting with the Christian forces against the Muslims. So far, a pretty good read. But then it bogs down. For my tastes, it goes too far into the minutia of battle. The battles reach a turning point, then the story jumps back to the old man where we learn who he is and how he knows so much of the history. It was an OK book. If you are looking for something along the lines of Patriots or Alas, Babylon , you'll be disappointed. If you like the W.E.B. Griffith type of military fiction, you'll probably really like it. This was the first episode of a 6-part series. This dealt with the story of Mike Thaxton, who was a passenger on Pan Am Flight 73 when it was hijacked in Pakistan in 1986.The show was a good combination of reenactments and interviews with Mr. Thaxton and the Pakistani head of Pan Am on the ground. What I really got out of it was the thought process that this "regular Joe" had to go through to face death and survive. Since this happened, he has become a speaker and trainer on surviving kidnappings and hijackings. Many of us possess the gear and tactical skills to deal with a situation like this. But do we have the psychological tools to do it? This show was a good look at the mental edge needed. I'd watch it again, and suggest you put it on your list. I'm looking forward to seeing what the other episodes cover. I picked up two pair of these radios the other day. I'm very satisfied. They are about the top of the line for the "bubble pack" mass market FRS/GMRS radios. The power lasted about 24 hours, mostly on standby, but with a fair amount of talking. From inside our brick house to the neighbor's, about 150 yards, my wife and I could communicate with no problems with them set on low power. When I went to the dump later, we could speak on high power at about 3/4 mile with no problem. This area is pretty heavily wooded with quite a rolling terrain. In an open prairie area, the range would be significantly farther. They have a lot of features which will take time to learn, but for regular communications around the homestead, they are fantastic so far. I'll be keeping one pair charged up in a Faraday cage (perhaps another blog post later about that) and the other pair in use, swapping them out every couple months. Take a look at these if you need some basic communications. Our friends in the Midwest are taking it on the chin right now from a heavy winter storm. Heavy snow is causing power outages and the collapse of the roof of the Minnesota Vikings stadium. Good motivation for those of us not affected to double check our winter supplies and plans. The college riots continue in Great Britain. The "students" are rioting to protest rising costs being placed on them instead of on the taxpayers. US college costs have risen dramatically, and I can easily see riots starting here at some of our colleges and universities. If you live or work near a large one, keep your eyes and ears open. I'm still waiting for my carburetor jet screw that MIGHT fit my generator to be delivered. Keep your fingers crossed for me. If you are in the market for a portable generator, keep in mind that Generac does not sell replacement parts because they don't want buyers to work on them. They sell complete replacement cabueruators for about $70. They won't be getting my business again. When I get the jet, I'll let you know if it works, and if it does, the source. Our nephew is about 5 and a half, a tall kid, and very smart for his age. His parents have no real interest in guns or anything like that and want me to guide him. Yesterday, I picked up a Rossi Youth Matched Pair in .22 and .410. Its a single receiver and youth-sized stock, with two interchangeable barrels. I try to do as much of my gun buying as possible at locally owned stores, but Wal Mart had this gun for $117, about $40-80 less than I could find it anywhere else. Rossi currently has a $20 rebate offer on this gun that makes it all the more of a good deal. I have not shot it yet, but it looks well made, the metal to stock fit is good, the trigger pull is fine. I believe this is going to prove to be a great deal, and a great way to introduce my nephew to the enjoyment of the the shooting sports, and to safe gun handling. Of course, I also picked him up a pair of youth sized safety glasses . My generator is still out of action. Seems that carburetor parts for a Generac are not as easy to get as I though. The shop I went first does not carry Generac parts. They sent me to a competitor. The competitor did not have any parts at that location and had me call their other location in a nearby town. Talking to them, I found I did not have the right model number information. So, long story short, I'll call them tomorrow with the correct information and either pick up or order three more of the brass jets so I can fix it and have two spares on standby. After that is done, I'll talk to them about what kind of spare parts I'd be wise to have on hand, and stock up there. If this had happened during a storm or lengthy outage, I'd be up the creek. I don't want to be in that position. Tested your smoke and/or carbon monoxide detectors? Checked your household and vehicle fire extinguishers? Given your dog his heart worm pill and flea/tick treatment? A couple days ago, I noticed my left eye had some swelling and itching around it. By Tuesday, I was wearing my glasses instead of contacts. Wednesday I made a visit to the doctor. My wife was thinking pink eye; I was thinking poison ivy. The doctor couldn't decide between a minor infection or a touch of poison ivy, so he treated me for both with some prednisolone pills for the poison ivy and an antibiotic eye drop. This all got me thinking about eyes and injuries or illnesses in TEOTWAWKI. I wear contacts 99% of the time, and glasses when I go to bed to read. If I was without them, I am blind as a bat, and can literally not read the computer screen while typing. My wristwatch has to be within about 8 inches for me to tell time. With them, I am 20/10. I try to be very strict about wearing safety glasses when shooting, working with any tools, doing yard work, or even just out in the woods. Today I ordered 6 extra months of contacts and I also ordered an extra pair of glasses from Zinni Optical for less than $16, including the shipping. 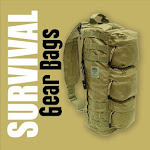 I've read of them on various survivalist boards and blogs and figured I'd give them a shot. If the glasses fit right, I'll probably order a few extras to keep in the truck and BOB. If you want to give them a try, you'll need your prescription, plus several measurements. But what about eye medical problems? Unless you have an optometrist/optician/opthamologist (opthamologists are the actual MDs) in your survival group, what can you do? One suggestion is to get the book, Where There Is No Doctor. It is published by the Hesperian Foundation and intended for use in remote and third world locations. The great thing is, they offer it as a free .pdf download at their site. I have this on my computer desktop, but at 500+ pages, it is unreasonable to print it out. You can also get a hard copy from Amazon . It has a great deal of basic information ranging from public health issues to childbirth, skin problems, geriatrics, and everything in between. They also offer Where There Is No Dentist as a free download or in hard copy form , as well as many other books on midwifery, cholera, disabilities and other topics. I think it would also be good to know some basic information about herbal remedies for various ailments. But that is a topic for a later date. This past weekend I tried to get a jump on my first of the month chores and test ran my generator. I put in my Star-Tron treated gas and fired it up first press of the button. But it wasn't right. It was spewing think smoke, and running very slowly and roughly. My first thought was that the Star-Tron wasn't all it was cracked up to be, so today I got some brand new gas and put in it. Same thing. Only today it was an emergency. We got hit overnight by severe thunderstorms and a tornado watch. Today we were under a wind advisor. Yep, we lost power while I was at the doctor this morning. I started trying to see what I could do with taking things apart and spraying carb cleaner. I noticed that if I let it run after shutting off the fuel line that for the last few seconds it would run perfectly. I then figured that it was running too rich and getting too much fuel. I took the carburetor off and found that the brass screw thing that goes in the bottom of the carb to let in air had broken off. I got the rest of it out, but the nearest NAPA store did not have it in stock. I'll go to a small engine shop near my work tomorrow and hopefully they'll have one (or several) in stock so I can get it back together this weekend. Now the thing that makes this noteworthy to me is that I have next to no mechanical aptitude. Ten years ago, I would have gotten rid of the genny and bought a new one. Five years ago, I would have taken it to a service shop and paid for the repair. Now, I am slowly but surely learning how to be more self-reliant with my power implements and things such as electricity and phone lines in the house. It's a great feeling of accomplishment. Ever since I've had the genny, the tires have been flat and needing to be refilled any time I moved it. Because of that, I've kept it beside the house under a tarp. I finnally got around to buying and putting on some flat-free tires from Marathon Industries . These things are made with a solid polyurethane, have a weight capacity of over 400 lbs, and took less than a minute each to swap out. They made a huge difference in making it easy to move, so it will now live in the shed and be better protected from the elements. I wish I had done this a long time ago! They tires cost close to $30 each, but they are well worth it! I highly recommend you get a set for your generator, garden cart, or anything else that might need them. Finally, some quick notes on my hunting trip the day after Thanksgiving with my step-brother and nephew. I am a complete novice at hunting. Thankfully, they are very experienced. I learned a lot about deer behavior and what different signs from different game look like. I didn't get a shot, but my nephew got a nice buck. From there, I learned how to track wounded game. I seem to have a knack for it. I found the initial scrape in the leaves and blood spill, then was able to find many of the track continuations, even at places with no blood, I could really see where he had been through the leaves. We tracked the buck for about 250 - 300 yards through sometimes heavy brush before the blood finally dwindled away to nothing. Near as my brother could figure, it hadn't been a killing shot, and the bleeding stopped. He said the tracks seldom last more than 80 - 100 yards. My nephew felt pretty bad about wounding the deer, but we tracked for over an hour and a half, and there just wasn't anything else to follow. I really learned a lot on this trip, and although I don't anticipate becoming a frequent hunter, I'd like to go a few times a year get the hang of it enough that I would improve my chances of taking game in bad times. Its crazy how different the game laws are from the last time I had a license. Many more rifle counties (in much of Virginia you need to use a shotgun to hunt deer), no 2 round plug, and six deer on the basic license. Who's Following If It Hits The Fan? Copyright 2011, If It Hits The Fan. Awesome Inc. theme. Powered by Blogger.